When the ear canal is wet and dirty, bacteria and yeast called Malassezia flourish. Other factors that can play a role less commonly are ear mites or even ticks which creep into the ear canal, any type of growth or foreign body, allergies, or a thyroid gland which malfunctions (hypothyroidism). With a bacterial overgrowth the discharge from the ear is usually yellowish in colour and resembles pus. With a yeast infection the discharge may have more of a dark brown or black colour, and has a distinct smell. It is also possible to have mixed infections within the ear. The vet will diagnose what type of infection is present by looking into the ear with an instrument called an otoscope, and by making a smear of the material accumulating in the ear by putting a small amount of the ear discharge onto a glass slide, staining it and then looking at what cells and organisms are present under the microscope. In more complex or recurring cases the vet will take some of this material from the ear and send it to a laboratory to establish exactly what type or bacteria or organisms is present (called a culture). This process of diagnosis is important as it affects the treatment plan for the animal. Certain dogs are predisposed to ear infections, and for this reason the condition often recurs in these patients. The condition in these cases will never be totally cured and can only be managed. Dogs that love swimming, such as Labradors, are predisposed to ear infections because they have water entering the ear canal on a more frequent basis. Dogs that have large floppy ears, like Poodles and Cocker Spaniels are also predisposed as this conformation often prevents the ears from drying out properly. 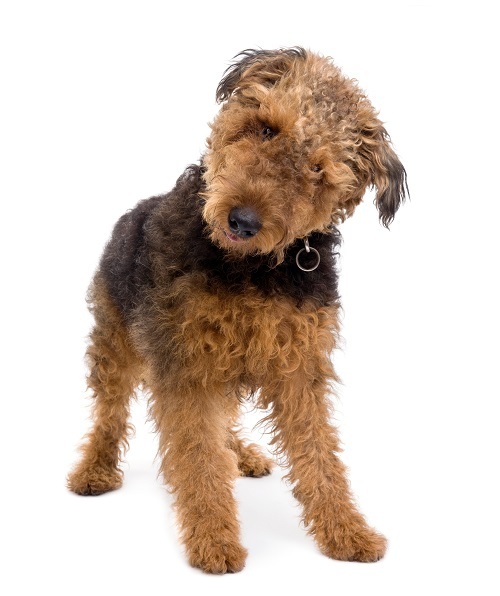 Dogs that have a lot of hair in the ear canal, like Schnauzers and Poodles, are also prone to infections, as debris and moisture can become trapped in the hair. Ear infections are quite rare in cats but Persians are the most predisposed breed of this species. In cats itchy ears are usually because of an ear mite infection, rather than bacteria or yeast. An infection with bacteria or yeast in a cat is quite frequently associated with an underlying illness such as Feline Leukemia Virus, Feline Immunodeficiency Virus or diabetes. There is increased risk of infection in these animals because the immune system is depressed. Signs of an infection commonly include scratching at the ears and shaking the head and may also include animals tilting their heads. There may be an unpleasant odour and you may notice a discharge. This is not always seen as other pets in the home may have licked at the infected ears to clean them. The ears may also become swollen or red, and even show crusting or scabbing of the skin. A common side effect of an ear infection is the formation of an othaematoma. This is a painful swelling of the ear that results from a collection of blood under the skin because of the vigorous shaking of the head which causes blood vessels in the ear to burst. Large othaematomas often require surgical correction. In extreme cases animals may lose their sense of balance. Severe cases may also show disturbance of the nervous system such as walking in circles or unusual eye movements. Loss of hearing can also result from a severe infection. It is important to treat an ear infection promptly so that it does not progress to the more serious stages, and also to help relieve the discomfort that the infected animal is suffering. One of the most common reasons for clients to change vets is because of the perception that the vet fails to get the ear infection under control permanently with treatment. It is important to understand that some ear infections will never be cured and can only be managed. This is as a result of other underlying reasons leading to ear infection. Animals which suffer with inhalant allergy, also known as Atopy, are very prone to itchy skin, called atopic dermatitis (derma-skin, -titis – inflammation). Because the ears form part of the skin, the ears and the inner parts of the ear canal will be affected leading to a red, warm and swollen surface (inflammation), which is a wonderful breeding ground for bacteria and yeasts to grow. Treatment of ear infections therefore always start at trying to identify, address and alleviate underlying causes. If the underlying causes are addressed, the ear infection will in many cases not return after successful treatment. However in certain instances, it is not possible to completely eliminate the underlying cause. In these instances, it is important to reduce and manage the underlying cause as much as possible, which in turn will reduce the treatment required for ear infection. It may be a life-long problem which is incurable, but can be managed by periodic treatment. Establishing the underlying cause may be quite difficult in itself and may require an extensive period (at least 8 weeks) of changing the dog or cat’s food to a very specific anti-allergenic diet. In certain cases of allergy, blood tests or other skin tests may need to be done to determine what exactly triggers the allergy, and vaccinations against these triggers can be formulated for the animal. Treatment of underlying causes in itself may be expensive and time consuming, and this does not even address the ear infection itself. Once the underlying cause has been identified and addressed, treatment involves cleaning the ears and in most cases administering drops into the ears. If the infection is far advanced the ear canal will be very swollen and in most cases extremely painful, which means that the animal will have to have a general anesthetic to clean out the ears properly. In severe or recurring cases the vet may take a swab of the ear and send it to a laboratory to establish exactly what type or bacteria or organisms is present (called a culture). Further to this the vet may request a test to establish which antibiotics will work against the organisms found. In some cases severe resistance to medication has been developed by some organisms which will require special attention. In mild cases the vet may prescribe a cleaning liquid which will need to be applied to “flush” the ears before medication is put into the ear. To clean the ears, the cleaning agent is squirted into the ear. The ear is then agitated by firmly rubbing the base of the ear. This is to help spread the cleaning agent and increase its contact with the inner surface of the ear. Remember to stand back when you have done this because most dogs will shake vigorously after this exercise. This shaking helps to loosen up material stuck in the ear canal. Once the animal has had a good shake, cotton wool or tissue paper is used to wipe up the cleaning agent and the wax from inside the ear. It is important that cotton wool buds are not used as these are small enough to penetrate too far into the ear and can damage the eardrum. There is no risk of this happening with a finger and cotton wool. The cleaning agent will help to dissolve the wax present in the ears and create a healthier environment where the infective organisms are less likely to flourish. Once the ears have been flushed, medicated drops will have to in inserted which normally contain agents that act against the specific organisms demonstrated on the ear smear or culture as well as anti-inflammatory and soothing agents. In most cases treatment will have to be administered daily for a number of days or weeks. In some cases systemic treatment like a course of antibiotics or anti-inflammatory medication to be taken by mouth may also be prescribed. The vet may start off this treatment by giving some injections. Ear infections are seen commonly in small animal practice. If you suspect that your pet is suffering from an ear infection there is no need for alarm, but attending to it promptly with a visit to the vet is advised. Some ear infections will never be cured and will require ongoing treatment and lifelong management.